With our iconic swan, notable attention to detail, imaginative designs, and reputation for building a lasting relationship with our clients, Simply Charming Socials has made an indelible mark on the weddings and events industry in the Southeast and beyond. Read our story to learn more about our passion and principles, our founder Kristine's road to weddings, and what makes our business sing. 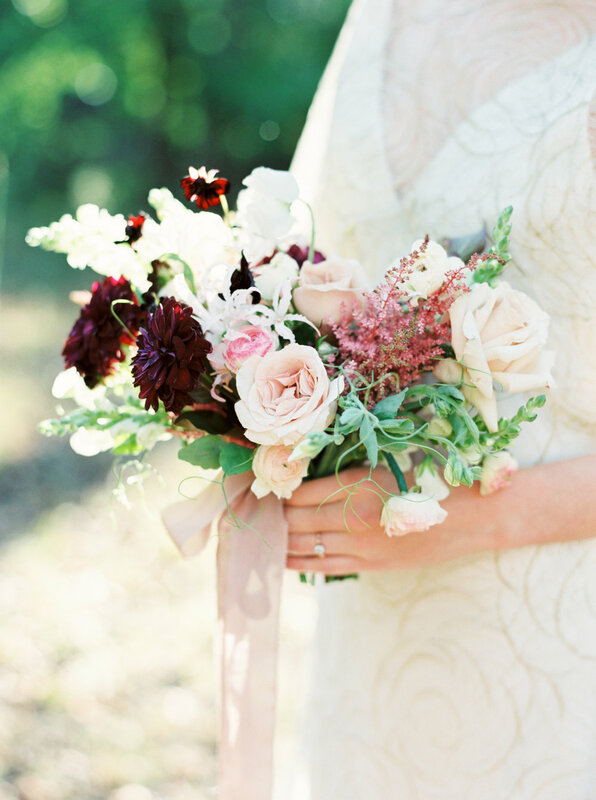 Simply Charming Socials is a full-service event planning and design company specializing in weddings and social events. 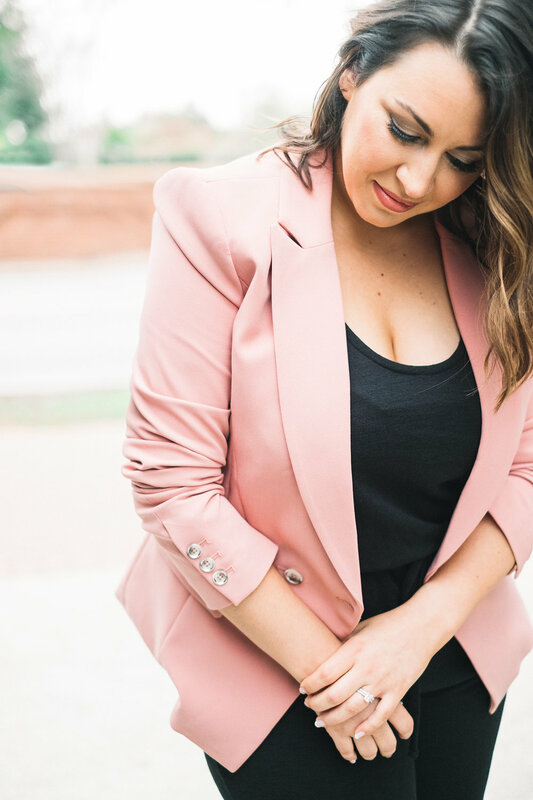 Launched in 2012 by founding partners Kristine Cholakian Cooke and Danielle Copeland, the company recognition from countless media outlets including Martha Stewart Weddings, Southern Weddings, and Style Me Pretty. In late 2013, Danielle left the business in order to spend more time with her family and explore new ventures. It was bittersweet, but the impression that she made on her clients, the industry, and especially Kristine, will not be forgotten. In 2014, Kristine Cooke rebranded Simply Charming Socials with its iconic swan logo, elevated style, and the addition of styling services, workshops, and more offerings than ever before. The swan was chosen as the new symbol for the brand based on its representation of grace, beauty, and everlasting love. But more importantly, the swan was the perfect analogy for how any event planner should be. While on the surface the picture of calm and elegance, under the water (or behind-the-scenes), there is a lot of furious paddling. Simply Charming Socials serves client in Atlanta, Georgia and the Southeast, with occasional destination events. Each planning and design package is completely tailored for our clients to ensure they have the perfect level of service for their event. We simply focus on the charming details that make your weddings and socials pure magic. We focus on the details. We work side-by-side with our clients to ensure their vision is brought to life, all inclusive of the most personalized nuances that makes the wedding or celebration truly theirs. With our breadth of experience, affinity for sentimental moments, strong attention to logistics, the keen ability to curate the perfect team of professionals, each event we produce is pure magic. I am a planner, designer, stylist, collector, crafter, and curator. My need for organization runs deep in my soul, while creating and designing truly makes my heart sing. My road to planning weddings was a windy one. After earning a degree in Fashion Merchandising from the University of Georgia, I began my career in Manhattan working for several design houses as a public relations assistant and event manager. I helped produce runway shows and look books, launched new collections, and styled for editorial shoots and celebrities. It was in New York that, by chance, I had the opportunity to plan and execute my first wedding. I fell in love. It was the first time I was part of an event that would be remembered by my clients and their families forever. A truly special and rewarding milestone. With each event I plan, client relationships come first. From the time I meet a bride to the moment I send her down the aisle to join her forever love, I build a bond that is unforgettable. And when it comes to design, I love a challenge. I pull inspiration from art, music, architecture, fashion, and above all, my clients. Wrapping it all together, I work furiously to create beautiful, lasting memories for everyone involved. 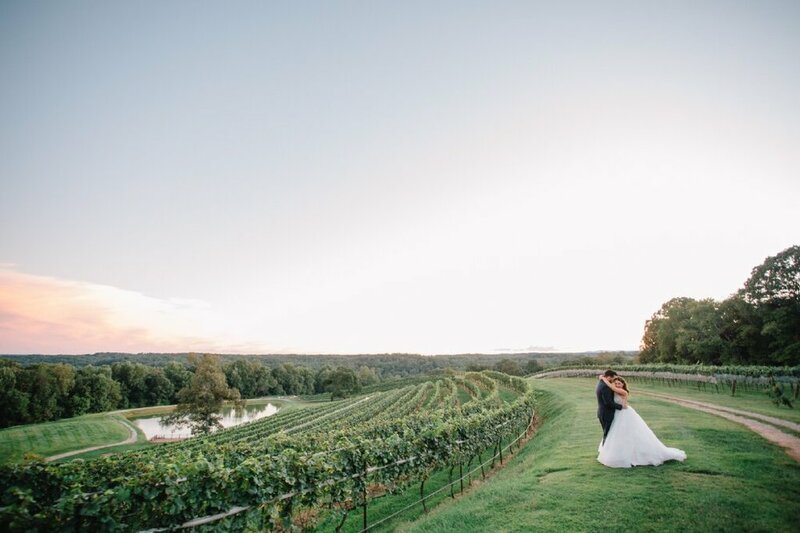 I married the love of my life Kenneth Cooke in 2015 at the North Georgia vineyard, Montaluce Winery. We welcomed our first daughter Catherine Eva or "Kiki" in March 2017 and have made our home in the suburbs of Atlanta with our chihuahua, Lucy. We love mini adventures like farmer's markets on the weekend and road trips to Charleston and Savannah, celebrating holidays and every day milestones with family and friends, and seeing the world in a whole new perspective through the eyes of our sweet Kiki. In my downtime, you can find me daydreaming about going back to Paris, reading Martha Stewart Living, watching sitcoms, or trying a new recipe. Read more of my story on VoyageATL. Family treasures and curated mementos are some of the most personal pieces we hold dear to our hearts. Whether it's a stack of vintage magazines, a pile of carefully plucked stamps, or in our case, a bevy of brass swans, we truly value objects of the past and our pulse races when we stumble upon a new addition to our collection. We love incorporating our clients' most prized possessions into their events. Hosting a gathering for our nearest and dearest always provides a sense of accomplishment and nurturing. Our love language is entertaining, whether in an intimate setting with our other half or a grand room full of acquaintances. We approach our clients' events with the same enthusiasm and care, ensuring every detail is planned to perfection and their guests feel the love and celebration. The journey of life is full of windy roads, spontaneous road trips, and lovingly-planned visits across the globe. Bouts of wanderlust combined with a true feeling of being most ourselves at home, we adore adventures of all kinds. Anytime and anywhere we can learn something new, stumble upon beauty and art and music, or make memories with loved ones is an adventure most welcomed.